Adelaide Zoo is home to a gorgeous male Binturong named Jakarta. 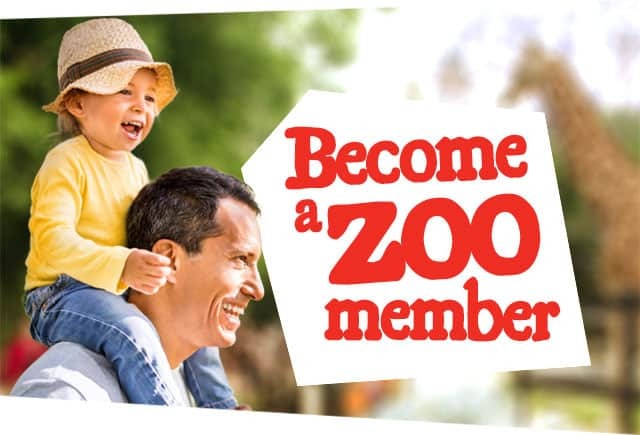 Jakarta made the journey to Adelaide Zoo from Perth Zoo in September 2018 and quickly warmed the hearts of staff since his arrival. He was born at Perth Zoo on 6 September, 2017. 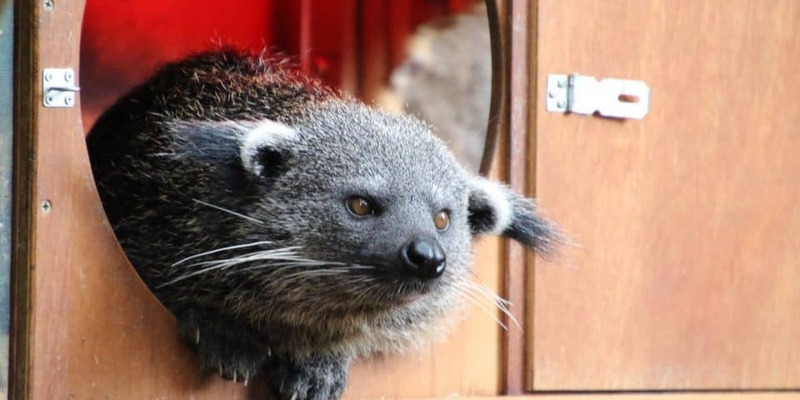 Like all Binturongs, this special boy emits an odour that smells of buttery popcorn. While this may smell great to humans, to other binturongs it signals the surrounding area is occupied territory as well as alerting males and females to each other’s whereabouts during breeding season. This fascinating mammal has the face of a cat and the body of a bear, giving rise to their commonly-used nickname of ‘bearcats’. They have large white whiskers, long ear tufts and shaggy black-grey fur. Jakarta absolutely loves fruit! You’ll often find him selecting all the delicious fruits out of his meals and eating them first. He always makes sure to spit out the skins though – only the best for our Jakarta! Apart from his favourite fruits, Jakarta also eats vegetables, meat and nuts and seeds. Binturongs are nocturnal so you’ll most likely find Jakarta in his nest box during the middle of the day. Early morning is the best time to catch this sweet boy before he tucks himself away until dark. 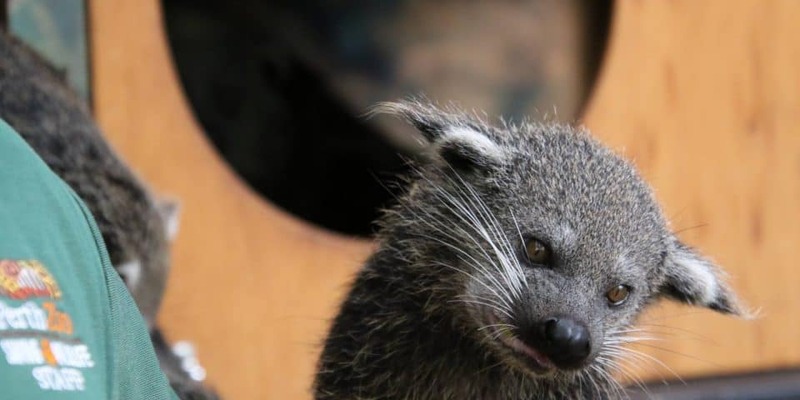 Binturongs were once found throughout China, India, Thailand, Cambodia, Laos, Malaysia, Indonesia, the Philippines and on the island of Borneo, but are now only found in pockets throughout South East Asia. The species is also known as ‘bearcats’ and belong to a family of small carnivores that include Civets and Mongoose. There are nine subspecies, generally distinguished by size and location. Females are generally larger than males and give birth to one to three young at time after a gestation of around three months. Young are born about the size of a human fist, and females care for their brood in a nest on the ground. 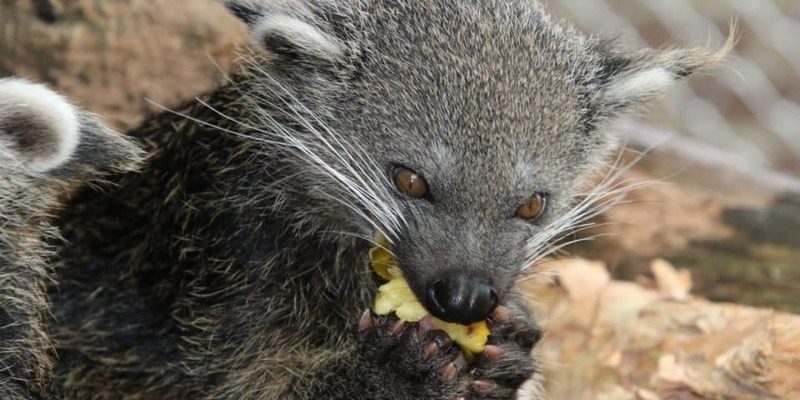 While Binturongs are classified as carnivores, they mostly eat fruit. They’re good swimmers and have been known to hunt fish. 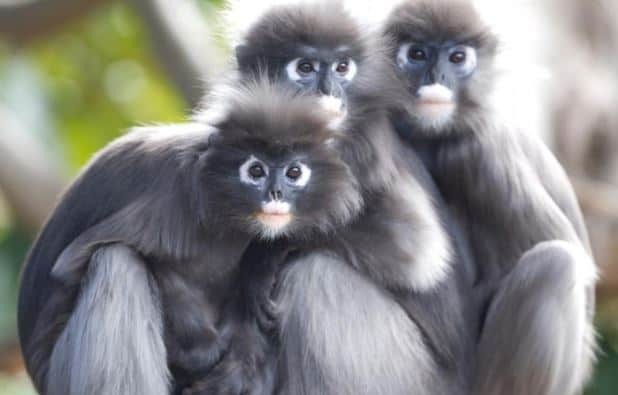 They live primarily in trees and are hard to find, so little is known about their behaviour in the wild. They’re generally solitary and spend most of their time moving slowly through the trees. Because of their large size, Binturongs don’t leap from branch to branch or tree to tree, and instead climb down to the ground to move from tree to tree. They have a strong, prehensile tail that they use to balance and grip branches as they move through their territory. Binturongs are at risk from habitat destruction, poaching for traditional medicines and the fur trade. In some areas they are considered a delicacy and hunted for food. It’s estimated the population has declined by 30% over the past 30 years. 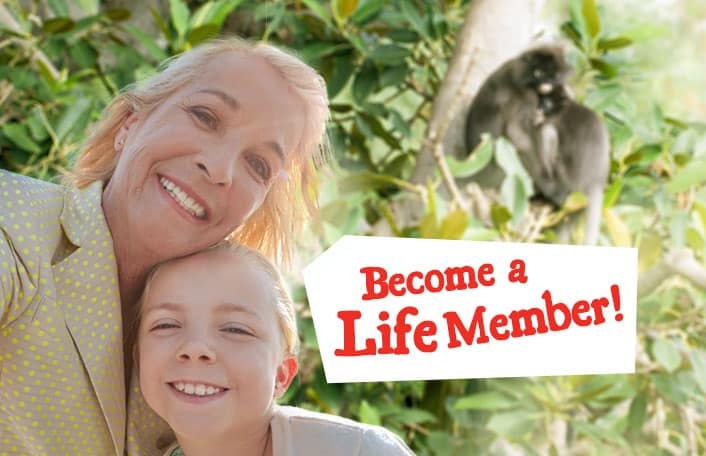 Love Binturongs? 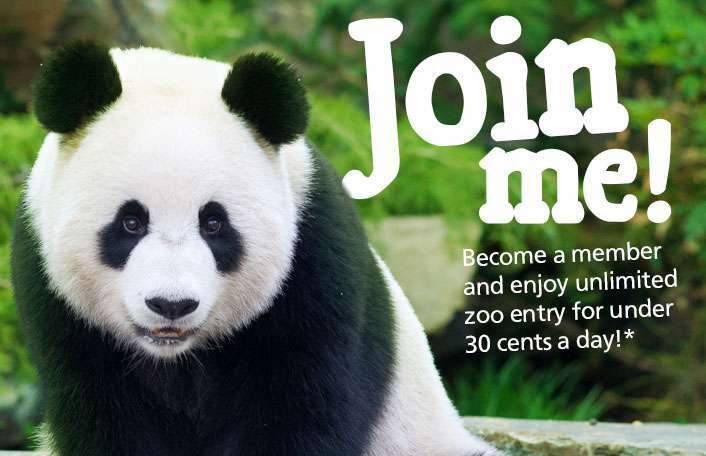 There are many ways you can help support these unique animals!